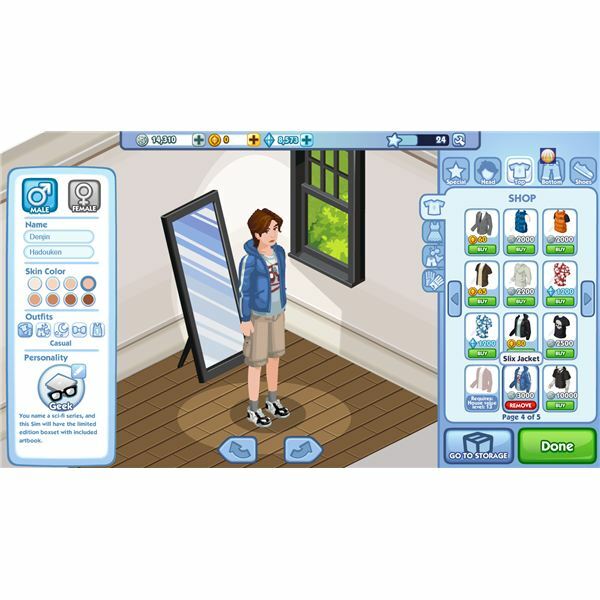 The original Sims is a life-simulation computer game first developed by Maxis, and published by EA and released way back in 2000 for the PC. It became so popular that it spawned multiple expansions, sequels, and categories. This game, as a simulation of life and society, just begged to be remade as a social game. 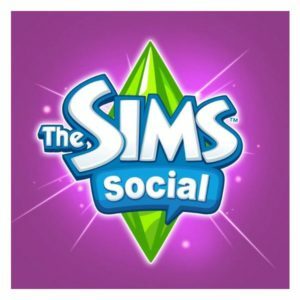 Now, after more than a decade and a multitude of Sims games later, we get The Sims Social. The latest incarnation of the franchise comes in everybody’s favorite game format – a social networking app, or (more simply put) a Facebook game. Here is The Sims Social guide, analysis, and walkthrough. In The Sims Social, you control a Sim which represents you. You are able to do a lot of things that you normally would do in real life. For example, you can eat, sleep, and even go to the bathroom. Your Sim will eat and eat, and eat, but it will never get fat. You do jobs, accumulate money and buy stuff for your house. The scoring factor here is the total value of your house and belongings. You can get every item on the market – even, you guessed it, the kitchen sink. Lots of them! Your Sim does various jobs to earn money. Unlike other Sims games, this time you are a work-from-home junkie. You earn money by going on the Internet writing articles and making blog posts – just like every other guy out there who has no real job. (Luckily, your Sim can get paid a lot, unlike aforementioned dudes.) Through this Sim you can do things you have never really gotten around to doing, like playing the guitar, piano, or even learning to paint and cook. Your Sim also needs to get out of the house once in a while to visit your friends to fill your social needs. Oh, and you still need to clean the toilet and make your bed. No worries, though! Getting to chill in the jacuzzi afterwards makes it all worthwhile. Though meant as a simulation, this is still a game. This means it contains gaming elements. For example, nothing happens in real-time. Everything happens pretty quickly in Sim land. As this is a social app, it carries that signature game feature – energy. Everything you do needs energy, and you replenish it over time. The reason that social apps have this feature is that if you can keep playing indefinitely, you will be able to finish all that there is to do in the game promptly and will probably stop playing even before the developers have something new to offer. Currency – the currency in this game is Simoleon, which you obtain through almost everything you do within the game – ranging from doing jobs, to weed whacking; even cooking gets you some of that cash. Quests – in a game, you often need a clear course of action. Quests often provide players with enough reason to keep playing, because of the possibility of cool rewards which come in the form of items or money. Social Interaction – as this is a Facebook game, social interaction with real friends is essential. You get a lot of things that you need for quests or other tasks through you friends. Some items are only available as gifts/requests, or are extremely hard to get. Other requirements can only be fulfilled by friends. Scoring – what would a game be without a method of scoring and having a way to show who is the best? The Sims Social makes this form of competition into a duel for bragging rights. Score is measured by the total value of all your Sim’s property, which includes the number of rooms, furniture and fixtures, and as of a recent update, the size of the land you own. You simply need to be richer than your friends. Events – one thing common among most of the Facebook games is the seasonal events. Each game usually has its own version of the celebration. For example, during Halloween, these games feature ghostly and beastly costumes along with décor that complete the ambience. With 440,000 monthly users, and more than five thousand reviews in the first few months, I would say that the game is fairly successful in its launch. Granted, that does not stack up to FarmVille’s 60 million monthly users in the first few months it came out (peaking at about 85 million), but that’s still a pretty good number. As of AppData’s survey published on October 21, 2011, The Sims Social ranks 3rd with 40,900,000 users, while CityVille is 2nd with 55,100,000 users. The top app is not a game, but a tool: Static HTML: iFrame tabs, which has 61,800,000 users. 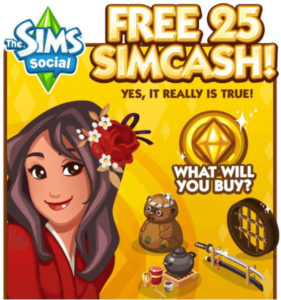 While Electronic Arts is currently the 2nd biggest developer, garnering a total of 69,696,037 users on all its apps, The Sims Social is responsible for about 60% of that value. So, In the long run, the game is getting more and more attention. Still have questions? Or, have personal experience playing the game? Tell us about it by visiting the comments section below.